Compact structure design results in a small size, light weight, low running noise, and high engine efficiency. 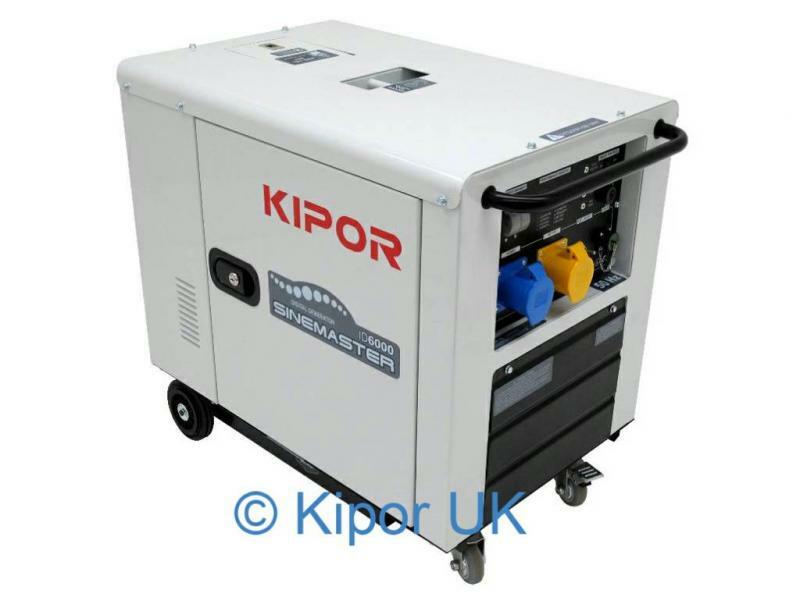 Take the comparison of KIPOR’s inverter ID10 and conventional generator KDE 11SS as an example, their rated outputs are respectively 9.5kVA and 8.5kVA, but dimensions are 250*650*790 mm and 1570*780*1050 mm. Low oil pressure, high water temperature, over voltage, low voltage, overload, short circuit, and wrong battery connection are monitored resulting in long, safe and reliable operation. In addition, the enclosure is fire proof, smoke proof, and oil spill proof, fundamentally preventing accidents from happening. Larger muffler area means better heat dissipation. Installation position of the AC inverter module and separate cooling air into the exchanging space reduces heat as well. Meanwhile, separate air filter and air inlet areas allow more cooling air .